Can I install WordPress manually? 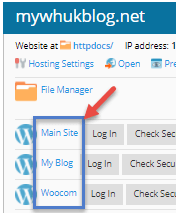 Can I migrate an existing WordPress site from another host? 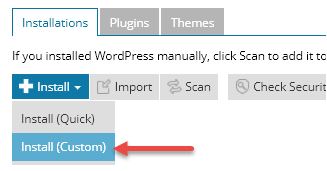 How do I rename my WordPress installation? 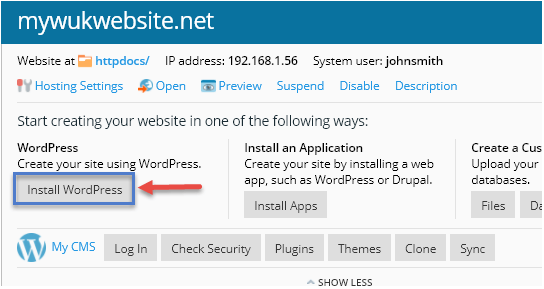 How do I delete a WordPress installation? How are WordPress updates managed? 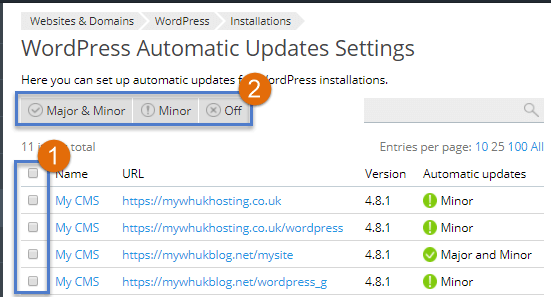 Our 1-click installer automates the installation process and creates a WordPress website using default setting. 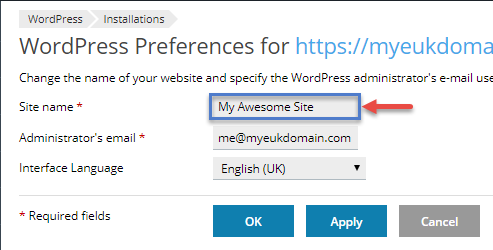 Note: If you are installing to a domain that already has WordPress installed then the new site will be installed to a subdirectory automatically, it will not replace any existing installations. The custom installer provides you with additional control over the installation location, WordPress version and configuration settings. Yes, just upload WordPress using either the file manager or FTP and run the install script as normal. 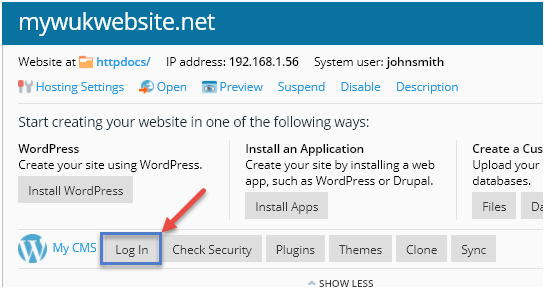 Any WordPress installations found will automatically be added to your toolkit. Yes, we offer a free migration service subject to an engineer review, we also offer a migration tool, please contact our support team for more information. 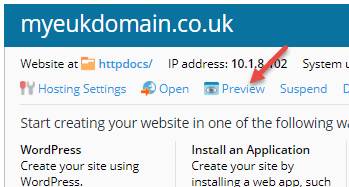 You can preview your website at any time by clicking on the preview link, this is useful for developing sites, testing migrations and checking sites where the domain has not yet been updated. 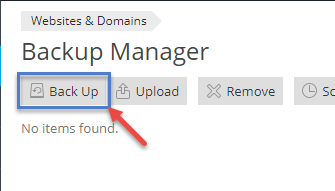 You can delete a WordPress installation at any time, we would recommend you take a backup before performing this action. Your WordPress installation will now be deleted. We backup your sites daily to our remote servers, these backups are retained for up to 7 days, to restore this backup please contact our support team, these backups are not counted against you disk space allocation. You can also backup your website locally which is highly recommended. 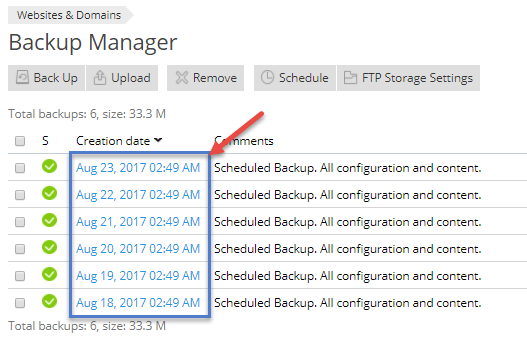 Local backups can be restored through your control panel, you can also set the retention and frequency of your backups. These backup are counted against you disk space allocation so please ensure you have enough space. The default setting will backup website data and email by default, you can change these now if you wish. Run this backup Task: We suggest selecting daily, choose a time that is during your sites quietest hours, between the hours of 3am to 5am are usually a good choice. Note: When incremental backups are enabled each backup taken in between each full backup will only copy changes made since the last backup, this saves disk space and reduces any performance degradation that might occur while the backup is being taken. Note: The longer the retention period the more disk space will be required. For daily remote backups please contact our support team and they will restore the backup on your behalf, these are kept for up to 7 days. Select objects: This allows you to select individual items or a subset of an item. All objects: This allow you to restore everything, be careful if selecting this option as this will overwrite all content and settings. Type of object to restore: If you have chosen Select objects then you can choose between restoring individual databases, sites and files – Select the appropriate object you wish to restore. Depending on the type of object selected you will be provided with a list of items, double the item(s) you wish to restore, they will then move to the Selected pane. 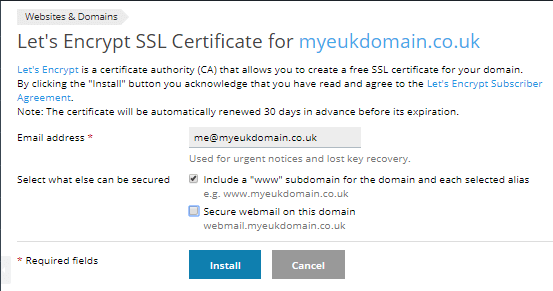 Adding a certificate is easy before continuing you will need to make sure the domain you wish to install SSL on resolves to your website. If you have multiple domains, locate the domain you wish to install your certificate on. On completion, your certificate will automatically be applied to your domain and you can start using it immediately. Our WordPress Toolkit includes a patch management system that automatically scans for updates and applies patches. There are three patching levels that can be assigned, by default Minor security updates are automatically applied. Major & Minor: Install all (minor and major) updates (for example, to install 4.7.1 and 4.8). 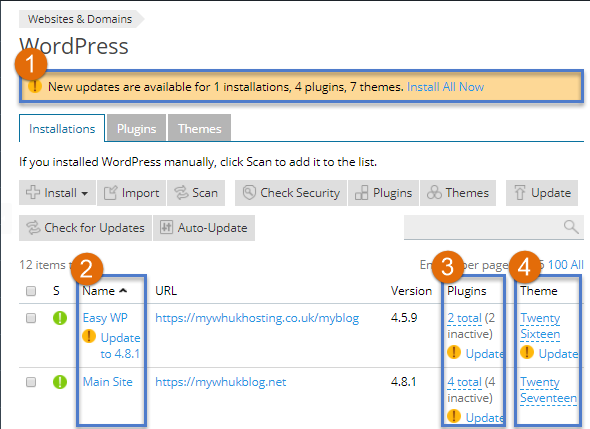 Please note that installing major updates may affect the operation of WordPress plugins. Minor: (Default setting) Installs only minor (security) updates (for example, install 4.7.1, but not 4.8). This option is enabled by default and is the least likely to cause any conflict with plugins or themes. 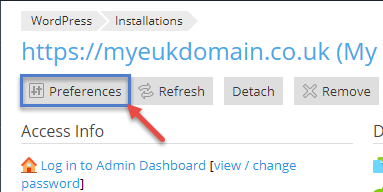 Off: (Not recommended) This installs no updates and is the is the least secure of the three, this is generally only used where a you may have a highly customised version of WordPress. Note: Auto patching setting applies to WordPress core only and excludes plugins and themes. Your patching level will be applied to the selected instances. You can view any updates that are available for your WordPress core, plugins or themes and install any that are outstanding.